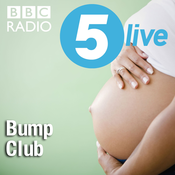 Across the spring and summer of 2013 5 live's Bump Club followed the journeys of mums and dads to be as they went through the ups and downs of pregnancy. In this special Christmas programme Edith Bowman catches up with some of the bump club members and meets their babies. Edith asks how they've coped in the first few months of parenthood and hears how they are all preparing for their babies' first Christmas. Teenage mums talk about the honest reality of being pregnant so young. Beverley Turner attends a natal hypnobirthing session. Author Amy Licence gives a history of royal births. Edith's live in Glastonbury with festival-going Mums, and also catches up with organiser Emily Eavis, who recently had her second child. Colin leads a discussion on why so many pregnancies end in C-section, and Beverley Turner is there in the operating theatre when one of our Bump Club Mums gives birth. We also hear from the woman behind the lullaby versions of rock songs we've been playing. Edith Bowman presents the weekly show about pregnancy and childbirth. Colin Murray is here in spirit, helping deliver a baby from a labour simulator, controlled by Bump Club's Beverley Turner. 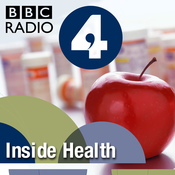 We also discuss whether women are under too much pressure to breastfeed. Also, why do so many pregnancies end in an induced labour? And we hear from more of the Bump Club mums as the babies keep on arriving. Should dads take a bigger role? Edith Bowman and Colin Murray present our weekly show about pregnancy and childbirth. This week, our Bump Club babies start arriving. We catch up with Mercy Koko-Snuggs and her new twins, born by C-section on Tuesday. On Fathers' Day, there's a call for the state to make it easier for Dads to have a bigger role in childcare and parenthood. David Lammy MP says we should have 'a zero tolerance approach to fatherlessness.' We hear calls for better support for expectant Mums with disabilities. And a round up of the week's Bump News - stories about birth and pregnancy - including new tips on how to conceive.